The size of crowds Chelsea draw to our games in the United States is one indicator of the increasing popularity of football in the country, but just as significant is the emergence of specialist community pitches exclusively for the sport in neighbourhoods like New York’s Harlem district. 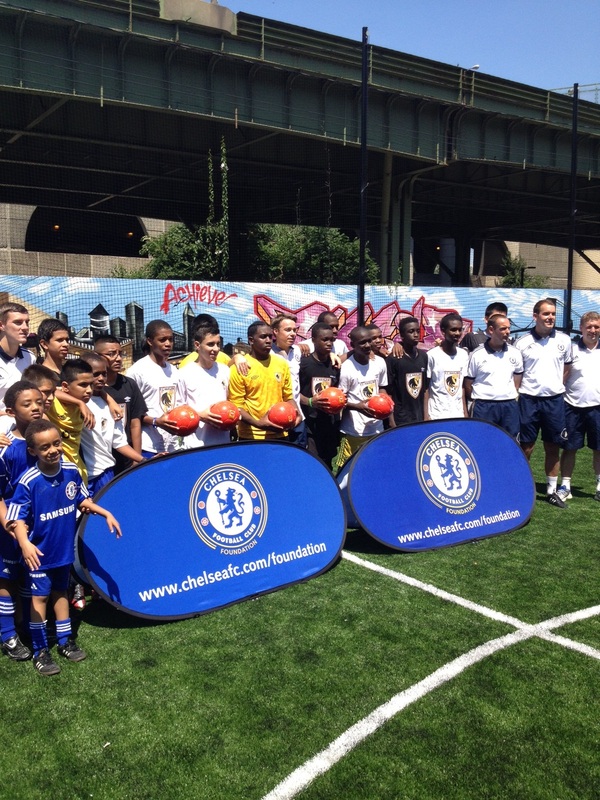 It was at just such a location that Chelsea Foundation coaches, in conjunction with our global charity partner Right To Play, held sessions for 15 to 17-year-olds from FC Harlem, a youth development programme that uses the power of football to have a positive impact on kids and communities. 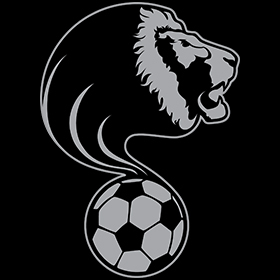 ‘It has been a fantastic experience to come down and work with these guys and it is great that people had the foresight to look beyond what is already there in the community and squeeze a pitch in. The facility, an artificial surface suitable for small-sided games which is located near the Hudson River and below one of this part of Manhattan’s iconic, raised railway lines, is one of two FC Harlem use. 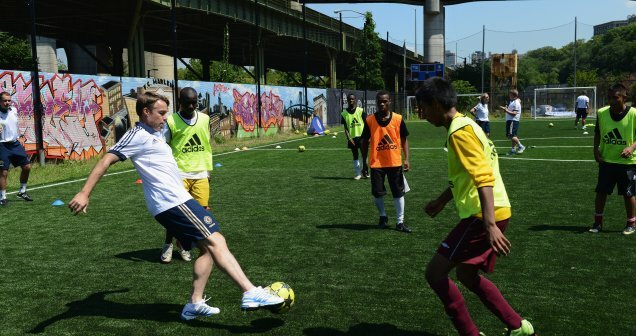 The other is in central Harlem but it was on the west Harlem site that Chelsea ambassador Graeme Le Saux joined the Foundation coaches for the training and a question and answer session at the end. ‘It is a wonderful community pitch here in the heart of the city and it brings the spirit of football into the communities, and the coaching they are receiving they are really excited about,’ said Le Saux. 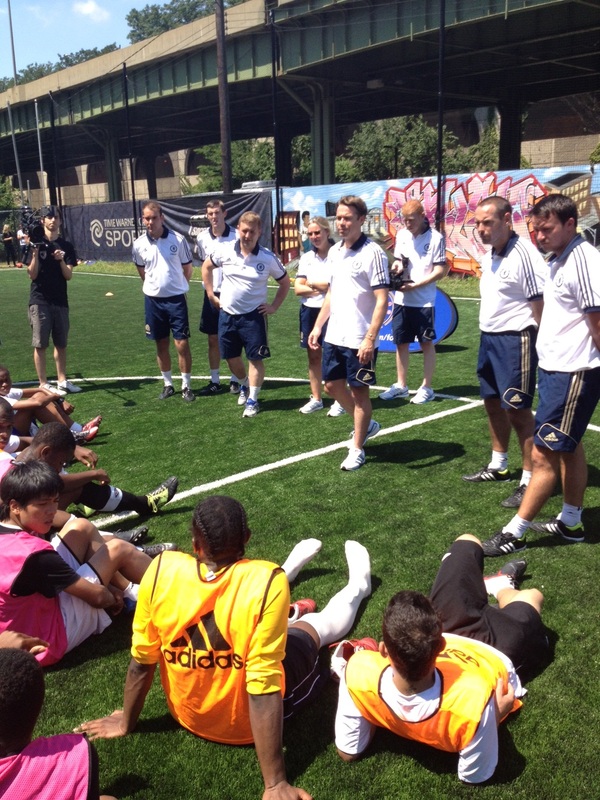 Right To Play have a long-standing involvement with FC Harlem which was started by Irv Smalls back in 2006. ‘We had 136 kids in total then and now with different partnerships we have over 1000,’ he told the official Chelsea website. ‘It is all about getting the message out and letting people know we are here. Lot of parents and children are trying different things and there is a community with a large, diverse immigrant background here that already has knowledge of the sport. ‘There are plenty of teams in the New York area to compete against and we also have enrichment activities that focus on healthy lifestyles, developing leaders and homework help. Ian Woodroffe, the Foundation’s international development manager, said: ‘It has been a fantastic experience to come down and work with these guys and it is great that people had the foresight to look beyond what is already there in the community and squeeze a pitch in. In addition to the work in Harlem, while in New York Chelsea’s Foundation coaches also ran session at Long Island University in conjunction with Samsung. 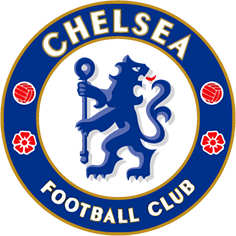 All year round Chelsea are active in the States via our Super Clubs programme.